In large bowl cut 3/4 cup butter into 1 1/2 cups biscuit mix until crumbly, add blueberries to mixture. spread in greased 9″ square pan. 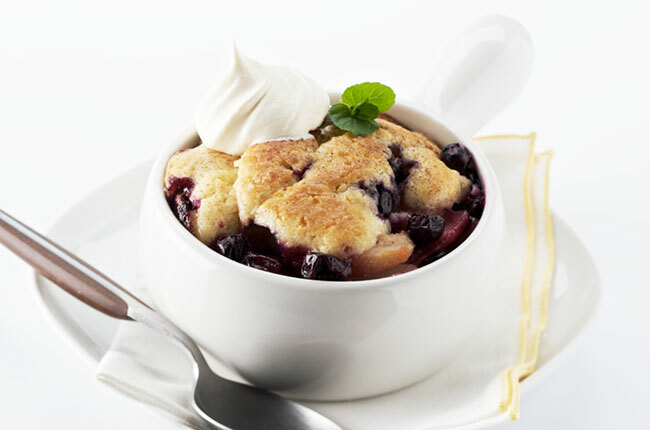 BLUEBERRY SAUCE: in saucepan combine 1/2 sugar, 1 Tbsp cornstarch, 1/2 tsp cinnamon & 1/4 tsp ground nutmeg. Gradually add 1/2 cup water. Cook & stir until thickened. Stir in 1 pint blueberries, cook & stir until hot.